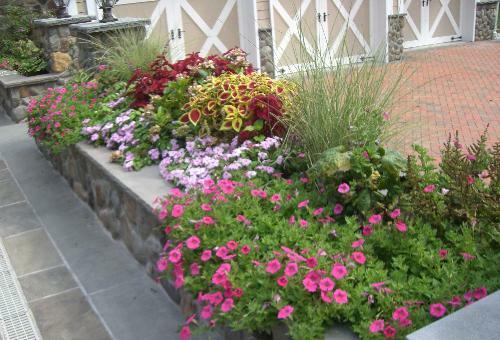 Our Garden Care Program constitutes the design, installation and upkeep of seasonal plants and flowers around your home and is a key component of our customer service and quality initiative. Our garden care specialists are experts in creating intense seasonal color changes with annuals, perennials, mums and bulb displays. We also create specialty perennial gardens such as butterfly, hummingbird, rock gardens and more. Our Garden Care team visits your property routinely to adhere to the specific seasonal needs of your plants and flora through the completion of monthly garden services including weeding, mulching, fertilizing, watering, transplanting, dividing and specialty pruning. These visits contribute to the overall wellness of plant life and prolong the vigor and life expectancy your garden through proper soil and water management and protection from disease and pests. 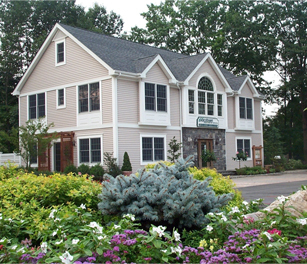 We serve all of Bergen County, northern New Jersey, and surrounding areas. Learn more about our residential landscape maintenance and garden care services in your town!